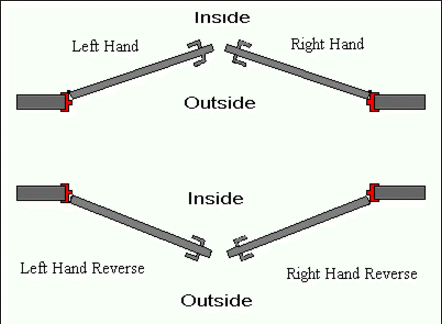 The picture below shows how doors are orientated with respect to the spaces they are found in. 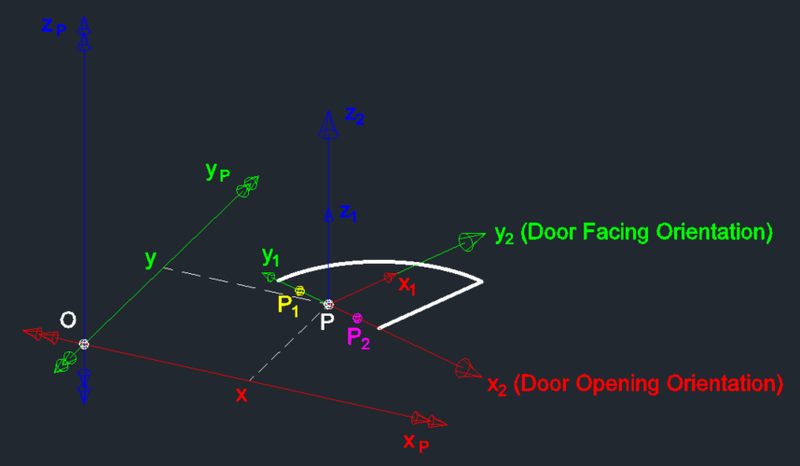 Create a coordinate system (corresponds to subscript 1 above) on a plane with the origin of the door location, with the x axis in the door facing orientation and the z axis up. 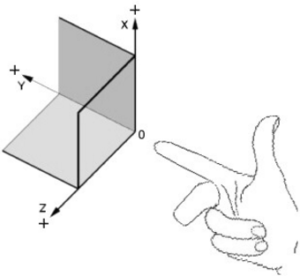 Create (translate) point P2 a unit distance from the door location in the direction of x2 (the door opening orientation). Create point P1 a unit distance from point P in the direction of y1. Test if P1 and P2 are coincident by measuring the distance between them and checking if it is zero. If P1 and P2 are coincident, then the door is left opening, otherwise it is right opening. Set the “Side opening” parameter for the doors to either “Left” or “Right” according to this test.